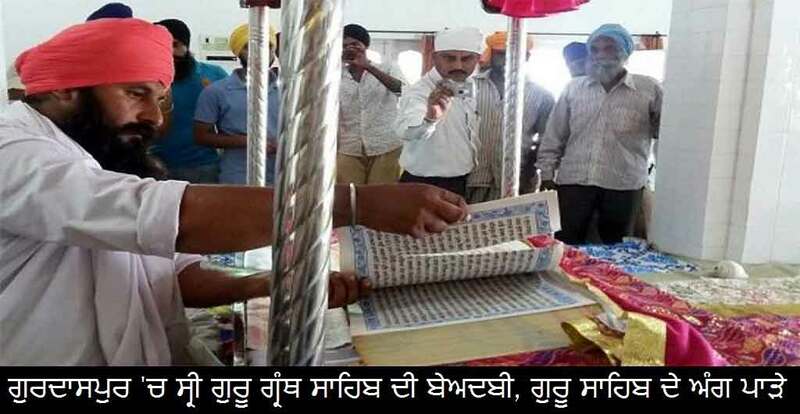 In another incident of desecration, Angs of Sri Guru Granth Sahib Ji were found torn in a Gurdwara at Marar village near Batala on Sunday. 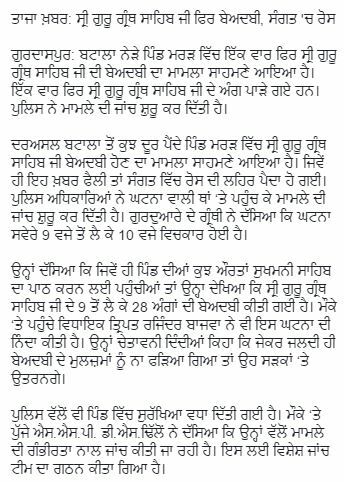 The incident came to light when some village women, who came to pay obeisance at the Gurdwara around 10am, saw 20 Angs of Sri Guru Granth Sahub Ji had been torn. They informed the village sarpanch and the Police was called. Batala senior superintendent of police (SSP) Daljinder Singh rushed to the village and held a meeting with villagers and assured them that those behind the incident would be nabbed soon. The SSP said the situation was under control and he was supervising the investigation. Meanwhile, hundreds of people from nearby villages gathered at the Gurdwara and demanded strict actions against the accused. Humility : Baba Sri Chand Jee meeting the Fourth Guru ;”O Raam Daas! Why is your beard so long?